September is traditionally the time when Britain’s shops are full of optimism. The new ranges are in – and at full price – and cooling temperatures are enough to remind us the Christmas frenzy is just around the corner. Sadly, this year, it’s difficult to escape the feeling that the festive period will be one many retailers would rather forget. We start the month with two of Britain’s best known household names – House of Fraser and Homebase – struggling for survival. Homebase has had a reprieve with hopes for a rescue plan following Friday’s creditor meeting. But, with a challenge from a small number of disgruntled landlords still possible by the end of this month, things are far from settled and the road to anything near full health will be long and full of twists. 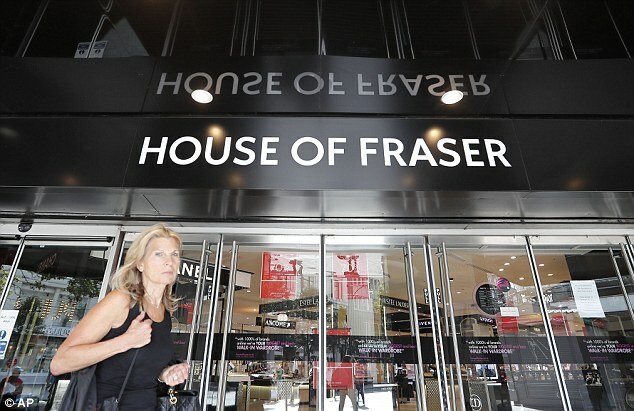 Meanwhile, billionaire shell-suit magnate Mike Ashley is trying to hammer home a similar plan to kick ailing department store House of Fraser into shape and bring it out of administration – which could continue for weeks. Hardly an auspicious start to the Christmas shopping season. Whether, as Ashley did, you blame ‘greedy landlords’, or hapless management (as in Homebase’s case with its former Aussie owners), rapidly growing online retailers such as Amazon or one of the other dozens of issues facing the average retailer, one thing is clear: the options and opportunities for retailers are closing down fast. As far back as 2012, I began writing about the impact the tax system would have on the sector as business rate charges rose while profits dwindled. High street rents since then, in many cases, have also continued to rise at pace. The growth of online shopping seems to shift into a higher gear with every passing year. And the response from Government to a situation that, if it were any other industry (let’s say manufacturing, for example), hands would be wringing the length and breadth of Whitehall and the accompanying calls for positive action deafening. It’s hard to imagine how the reaction to the retail crisis could be any more muted (it surely didn’t help that Retail Minister Andrew Griffiths – who should have been busy fighting to save the high street – was fire-fighting a scandal after allegedly sending lewd texts to two constituents). So it seems a pertinent moment to point out that things aren’t going to get any easier. None of the issues highlighted above are going away (apart from Griffiths, of course). Meanwhile, the minimum wage is cranking up (I’m a fan but even so have to admit it’s really not helping struggling retailers) and businesses are footing the bill for the Apprenticeship Levy. A further hurdle could rear into view next March. The pound’s value has already fallen sharply since 2016. But if Britain lurches off a hard-Brexit cliff, Bank of America says sterling’s value could take another tumble to below $1.10. Like it or not, most of what we buy on the high street these days is made outside Britain and purchased in dollars or euros. That would be another serious hit to retail margins on imported goods or else force shops to hike prices. At the turn of the year I suggested this would be a watershed year for the retail sector. That’s already been proven. Things are going to get worse before they get better until the reality of the situation kicks in. Ultimately landlords, pension funds and banks which own vast swathes of retail property don’t want to be sat on a pile of empty buildings. But there are a plethora of hard, financial reasons why they are dragging their heels over the issue. The best solution would be for a fairer tax system, one that is now badly needed to bring the retail chaos under control – or at least towards a more managed decline. Without a sudden change of heart at the centre of Government, it feels like a thin hope to cling on to. Perhaps my fears will be proved wrong but so far, I’m afraid to say, my predictions on the retail sector have been painfully accurate.